The Additive Manufacturing processes of LMD and Directed Energy Deposition (DED) are evolving how the aerospace industry designs and builds high-value components from prototyping to production. Aerospace components have long been fabricated using traditional manufacturing methods such as forging. That method requires significant post-processing. Additive Manufacturing offers new alternatives. 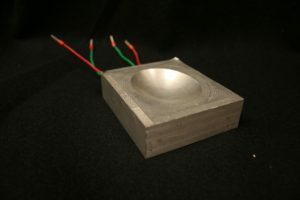 Laser-based additive manufacturing provides an alternative, single-step method for producing complex, multi-material, dense or porous, near-net-shape parts that often outperform their traditionally manufactured equivalents, offering enhanced properties. The LMD process also reduces waste when using high-priced materials. The Additive Manufacturing company, Formalloy, is producing parts using a laser-based process because of its ability to create new advantageous shapes. There are many parts in the aerospace industry that are now being produced through the LMD process. LMD parts that were seeing in aerospace include sample rocket nozzle components. The additive manufacturing geometry includes inlets in the wall that are for cooling.